The following is a more detailed explanation of the step by step process used in our winemaking school. You will learn by being involved in each step as you make your own wine. THE GRAPE ORDER: You should decide on the varietals and number of bottles you would like to make. We get our grapes fresh from California refrigerated in 36# cases. THE CRUSH: The grapes are delivered to DWC on a Friday and the crush begins at DWC around 9:00 a.m. on Saturday. Estimated crush date is early October, but depends on the optimal grape maturation date. Our new crusher /destemmer from Italy is amazing… TASTE YOUR WINE! THE PRIMARY FERMENTATION: This fermentation is done in an open vat and takes from 1-2 weeks. The yeast is added the day after the crush. The yeast converts the sugars to alcohol and carbon dioxide. We “punch down” the wine twice/day. You may want to stop by the winery to experience this chemical magic! THE PRESS: The “must” (grape juice/wine including skins and seeds) will be pressed to extract the juice (wine) and transferred to wooden barrels, or glass “carboys”. The pressing will be done over 1-2 weekends depending on the volume. We are getting a new bladder press to increase our capacity… TASTE YOUR WINE! THE SECONDARY FERMENTATION: The wine continues to slowly ferment over the period of another month under the monitoring of DWC. The wine may be “fined” and fine tuned. THE RACKING: About two months after the initial crush, the wine is siphoned to remove the sediment. The barrels or containers are cleaned and and purified, then the wine is replaced. You will want to be involved in this process and TASTE YOUR WINE! This process may be done multiple times over the next few months and YOU will decide how long you would like your wine to age. Please contact DWC in advance to reserve your weekend time slot(s). THE BOTTLING: You have the choice of providing your own clean wine bottles; we can help you sterilize them. You will need about 5 bottles (750 ml) per gallon of wine. 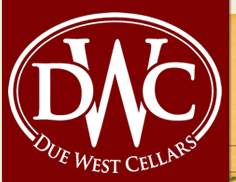 If you prefer, you can purchase bottles from DWC. 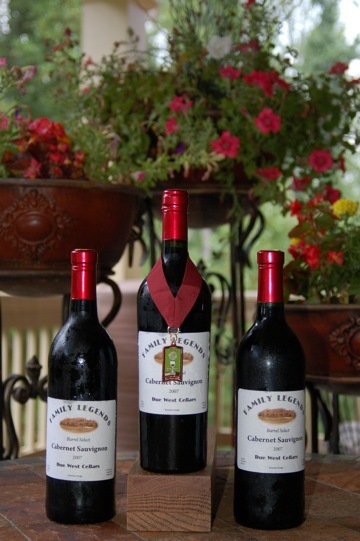 We will then help you bottle, cork, capsule, and label your wine (we will provide the corks and capsules).